Wait, what’s today? 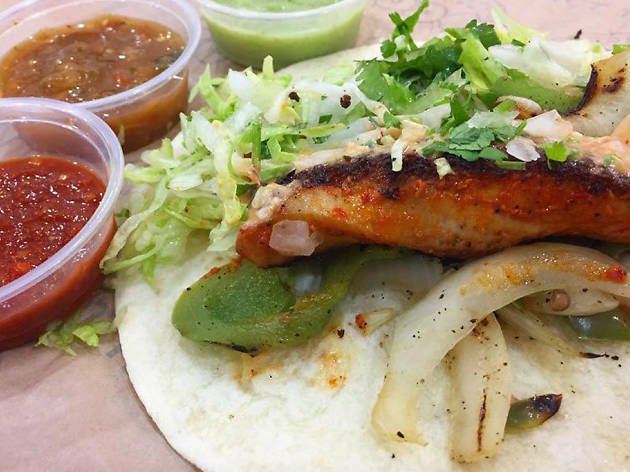 You’ll be asking yourself the same question every day after trying District Taco’s fish taco, available only on Tuesdays, Fridays, Saturdays and Sundays. 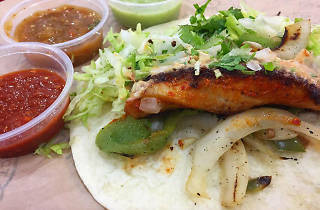 Drawing long lines, the citrusy special is made with tilapia marinated in chili peppers, lime, garlic and salt. Rather than being battered and fried, the light filet is grilled and topped with strings of cabbage and chipotle mayonnaise.